My VHF radio, like most modern sets, has scanning capability. I can pick a set of channels to be scanned. While I am out daysailing from Fairport I typically scan 16 and all of the Coast Guard working channels. I hear all of the CG communications. When they are engaged in operations I hear about it. When they bring in the helicopter from Detroit for search and rescue I hear the comms between the surface craft and the helo. If you want to hear it all, program your VHF radio to scan these channels: 16, 21, 22, 23, 81, and 83. Just remember to take you radio off scan and pick a none USCG channel when you make a call. 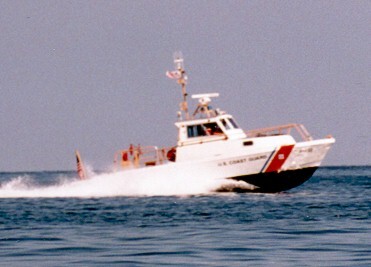 USCG Auxiliary officers who are also ham radio operators have been known to use 143.28 and 143.875 MHz.